This is the second station from the Entertainment Network India stable in Ahmedabad, Surat and Jaipur. It will play romantic melody numbers across eras. 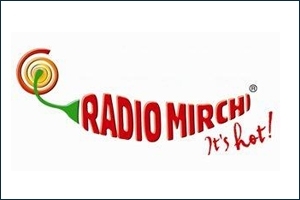 Entertainment Network India Ltd (ENIL), owner of private FM radio station, Mirchi 98.3, launched its second brand, Mirchi Love, in Ahmedabad, Surat and Jaipur on September 7. Mirchi Love will be the second station from the ENIL stable in these cities in addition to its launch planned in five other cities - Pune, Hyderabad, Lucknow, Kanpur and Nagpur. With the slugline 'Just Pyaar Kiye Jaa' to complement the feel of the station, Mirchi Love will be broadcast on the frequency 104 FM in Ahmedabad and Jaipur, and on 91.9 FM in Surat, said the company in a press release. Excited with this new brand launch, Tapas Sen, chief programming officer (CPO), Radio Mirchi, says, "Existing radio stations are all formatted on music eras. Thus, there are Contemporary Hits Radio (CHR) stations, retro stations and even '90s stations. We felt that radio stations can also be formatted on a theme. And we chose one of the most powerful themes - love. Mirchi Love will play romantic melody numbers across eras and will fill listeners with feelings of love. 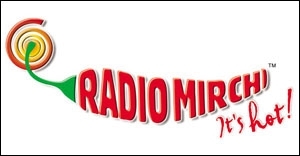 Mirchi Love will complement Mirchi, the mother brand, which is a CHR brand." The station went on air with a romantic love jingle, composed by music composers Sachin-Jigar and sung by Ash King and Aditi Singh Sharma. The morning show Wake Up Dil is hosted by Gautham from 7 am to 11 am, followed by a Bollywood gossip show with 'Bollywood Ka Rogi' Yogi from 11 am to 2 pm. The afternoon show, from 2 pm to 4 pm is hosted by 'Love Inspector' Hemangi followed by the evening show Shreya's Love Café from 4 pm to 7 pm. The night show Love Ka Pillow is hosted by Neha. The late night band (12 am-2 am) is hosted by 'Love Charger' Varun. 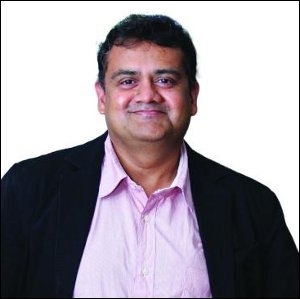 Commenting on the launch, Prashant Panday, chief executive officer (CEO), Radio Mirchi, adds, "Our market research indicated that while most radio stations help listeners feel energised, there is a huge need-gap in a different space - love. Mirchi Love will bring in many new listeners to radio." Elaborating on the synergy between Mirchi and Mirchi Love, he adds, "Mirchi Love will target young adults with high disposable income, the TG being NCCS (National Consumer Classification System) AB1, 28-year-old. Radio Mirchi, on the other hand, will continue to target a younger bunch of listeners, the TG being NCCS AB1, 22-year-old. This will help advertisers target their TG more effectively."